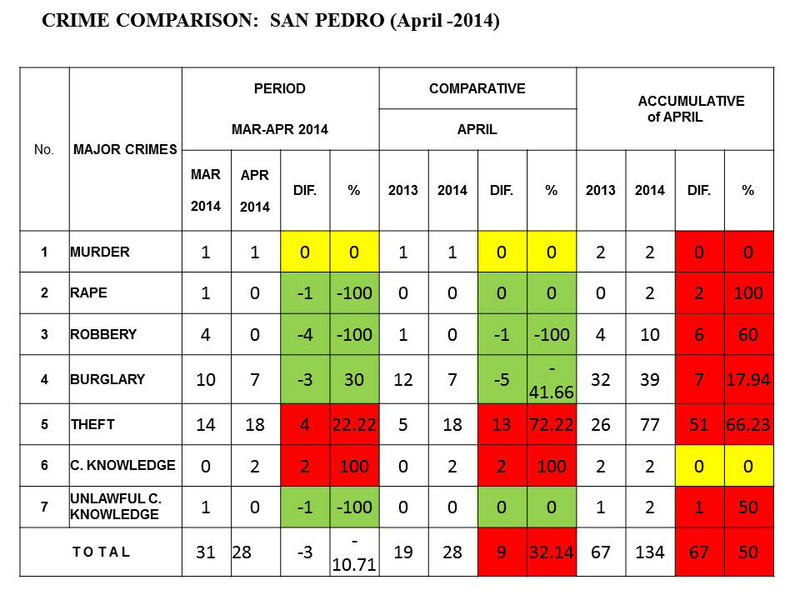 The San Pedro Police Department has released the crime statistics for the month of April 2014. The report demonstrates a steady decrease in major crime and stagnation of minor crimes such as burglary and theft for San Pedro Town, while Caye Caulker Village is seeing an exponential increase in crime. 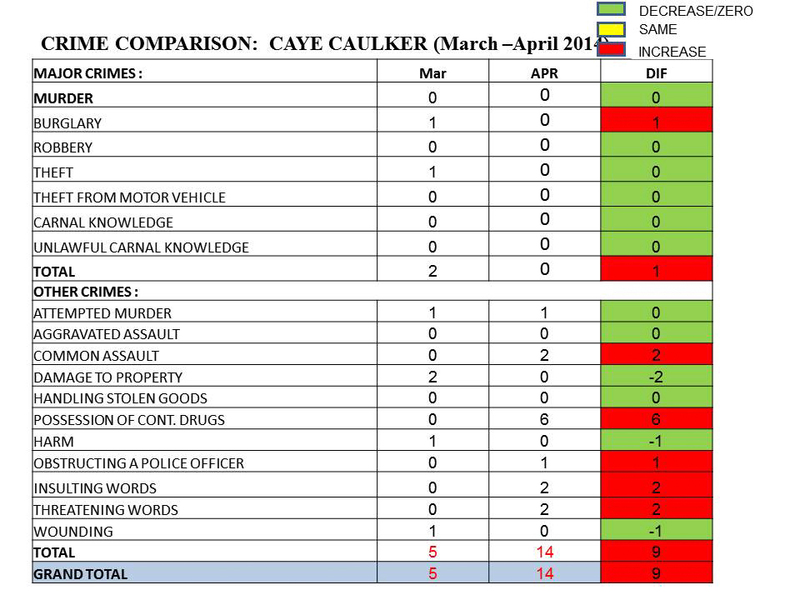 For the month of April, the island of Caye Caulker reported 14 cases of crime, a 65% increase from March’s five reported cases. 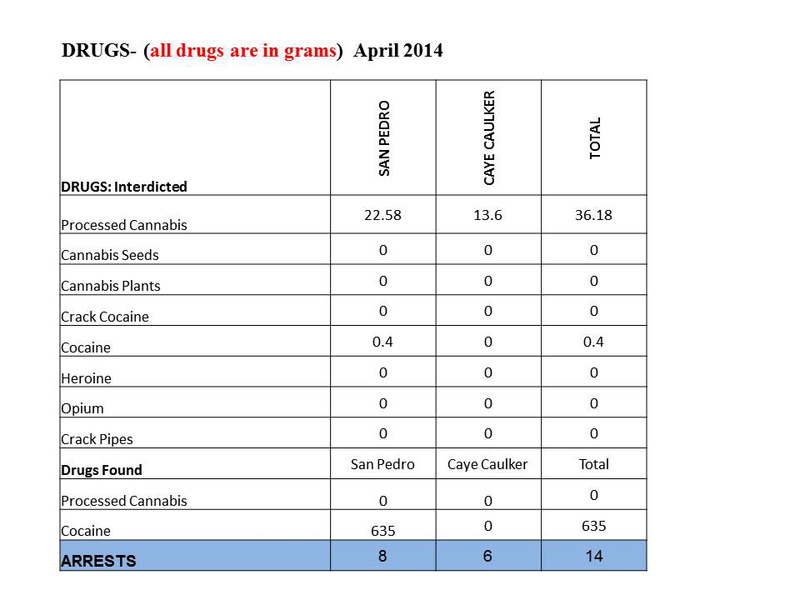 Six of the cases were possession of controlled drugs, seven were petty crimes and one case was an attempted murder. The incident of attempted murder occurred on Tuesday, April 15th when 24-year-old AquilesCanche was stabbed multiple times by 31-year-old James Crawford. Caye Caulker Police have determined that the increase in crime was due to the Easter Holidays as the island saw an influx of people. 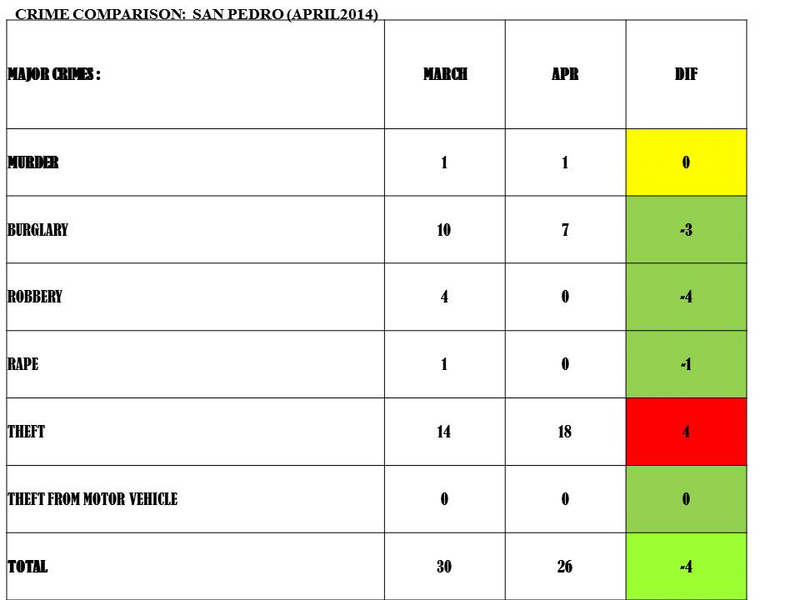 On the other hand, San Pedro Town police are reporting a 26% decrease in crime.Even with the decrease in crime, Town Core, Boca del Rio and San Pedrito still remain the troubled areas. Major crimes saw a decrease to 26 reported cases compared to March’s 30.Those crimes included: one murder, seven burglaries and 18 thefts. The murder case was of 43-year-old Dennis “Chingy” Palacio who was shot on Saturday, April 26th, sometime around 11:20PM on Seaweed Street. Minor crime saw 30% decrease going from 100 reported cases in March 2014 to 70 reported cases in April 2014. Officer in Charge of Police Luis Castellanos stated that even with the decrease in crime there is still much more that needs to be done. “The police and the community need to foster a better relationship, especially via more effective communication, sharing of information and better networking. Additional police officers would also be an asset, in order for us to implement more patrols, in particular North Ambergris Caye which is a corridor for illicit drug activities. Also I will be implementing more Community Policing projects,” said Castellanos. The Police San Pedro Department currently consists of 41 police officers, while Caye Caulker has a total of 15 police officers on duty. Residents are encouraged to report criminal activity immediately at phone number 206-2022 or anonymously via Crime Stoppers Belize at 0-800-922-8477.